Between November 2017 and March 2018 Peter S travelled thousands of miles and visited this Futuro as well as those in Canberra, Cheltenham, Deep Creek and High Wycombe. He visited this Futuro on 022118, about three months before it was disassembled and placed into storage. 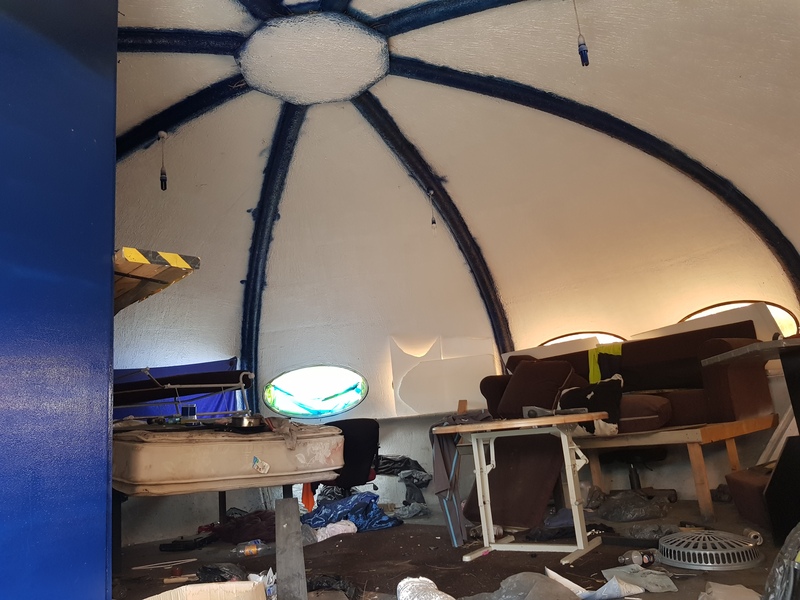 The photos below show the condition of the Futuro at that time; Thanks for sharing Peter. 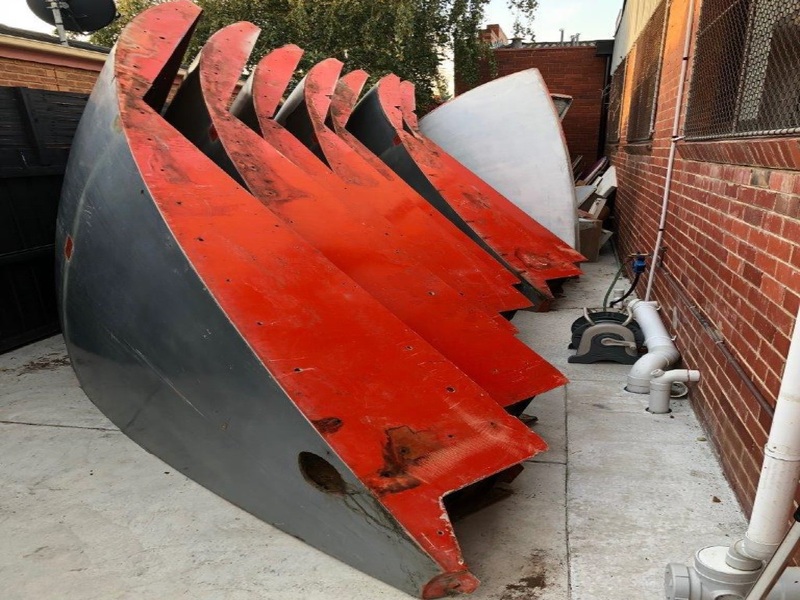 The photos below were included in a Heritage Victoria document detailing that organizations determination in respect of the application to have the Futuro included in the Victorian Heritage Register. 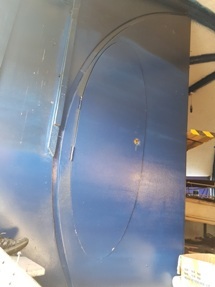 The first three photos were taken March/April 2018 around the time of disassembly of the Futuro and the second three, showing the Futuro being placed in storage, are dated May 2018. More about the document can be found at right. 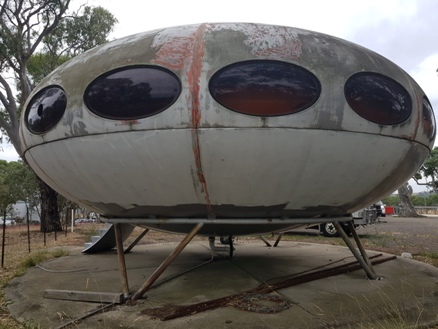 This Futuro has now been moved to a new [unknown to me at this time] location. 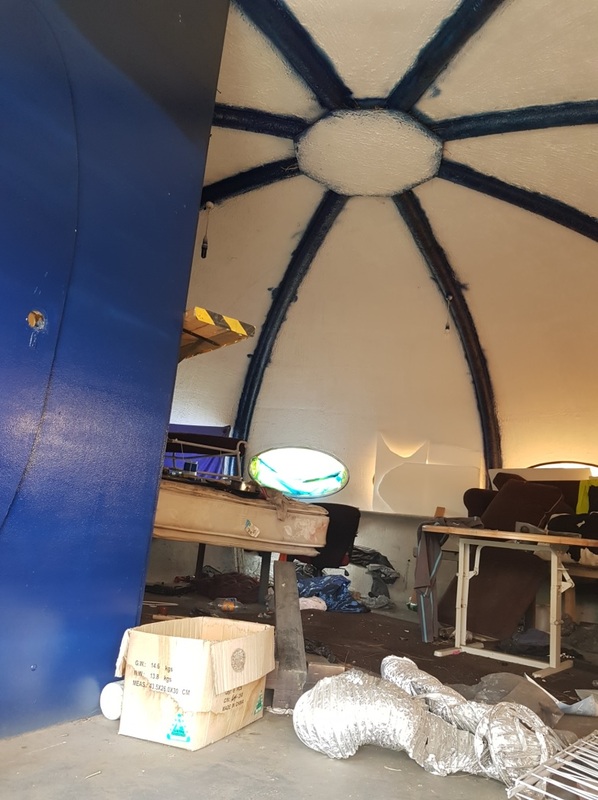 The photo below was posted to Instagram by the City Of Whittlesea and shows the Futuro partially disassembled prior to the move. More details can be found at right. 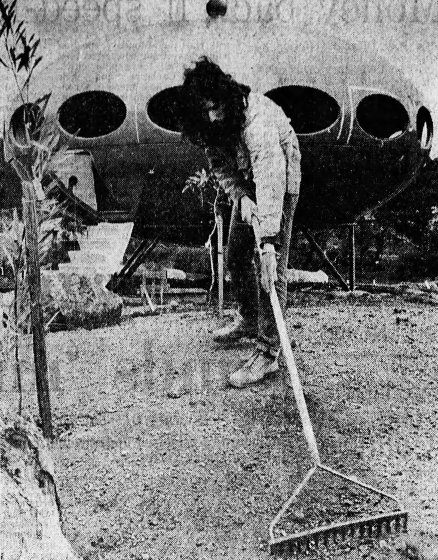 The photo below appeared in the 071770 issue of The Age and, while I cannot be certain, it likely shows this Futuro in a prior location; more info can be found at right. 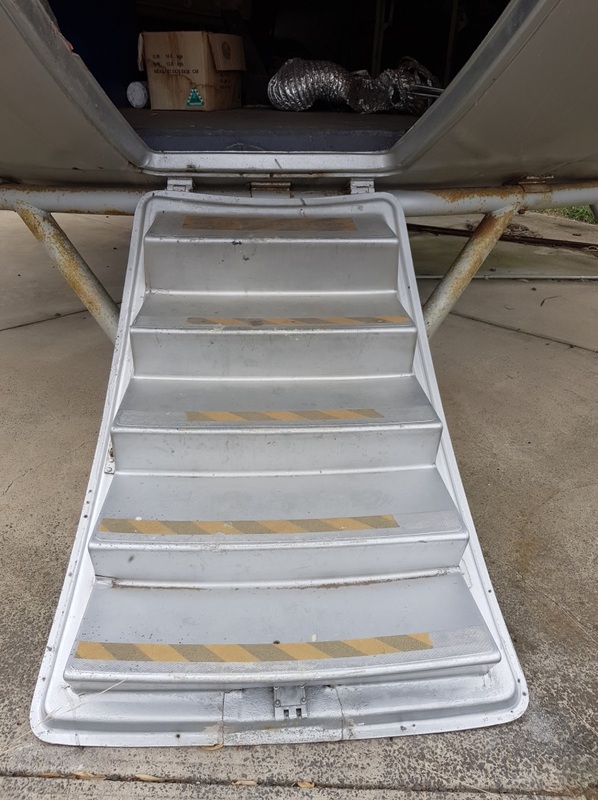 The photo below was taken 093016 and posted to Instagram by annasatin. 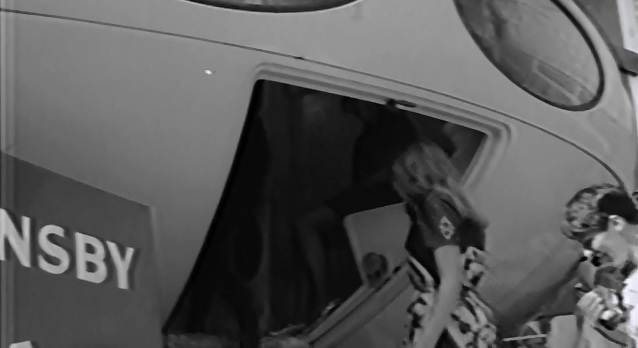 Looks like at least for now another Futuro is being "left to die"; she certainly appears to be deteriorating as time goes on. The three photos below, some of the best I have seen of this Futuro, were posted to Facebook by Terry Smith. The photos below are screenshots from "Nice & Classy", the sixth episode of Australian TV Show "Myf Warhurst's Nice" first broadcast 071812. 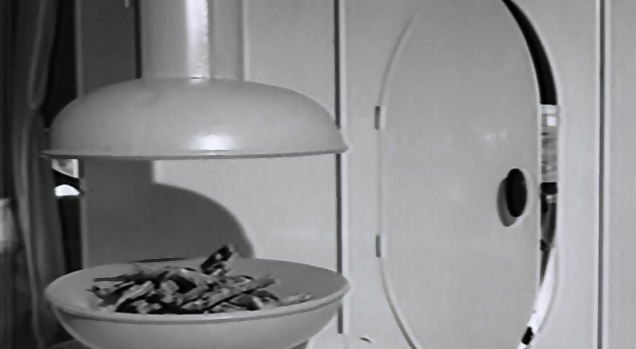 This first set of screenshots are from footage that comes from the late 60's or early 70's. 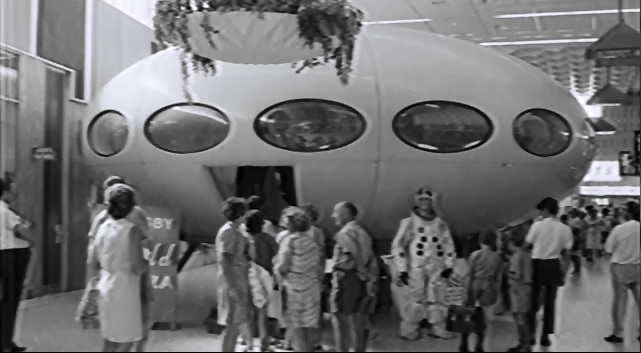 The footage appears to show a Futuro on display at an exhibition but I have not yet been able to identify which exhibition or even which country the footage was shot in. This second set of screenshots is of the South Morang Futuro. 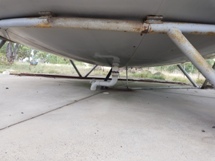 The Heritage Victoria decision in respect of this Futuro's nomination for inclusion in the Victorian Heritage Register appears in this document under the heading "Recommendation of the Executive Director and assessment of cultural heritage significance under Part 3 of the Heritage Act 2017". The decision did not go in favor of the Futuro and, as it seems to me is the case with anything "government" or "legal", the authors seem to have gone out of there way to make the reasoning as hard to determine as possible but in summary the Futuro "passed" some of the requirements and not others as far as its "cultural significance to Victoria" was concerned in the estimation of the authors. The report, which references this website several times, included a few photos of the Futuro around the time it was disassembled and placed into storage, these can be found at left. 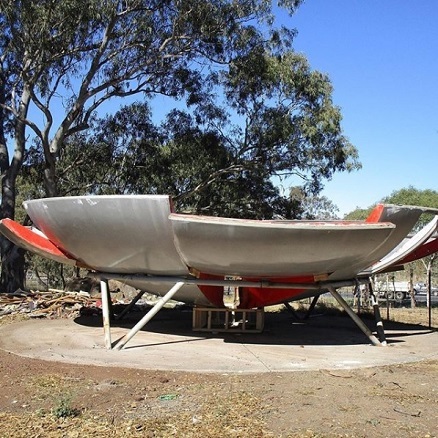 This Futuro has now been dismantled and moved to a new [unknown - to me at least] location. 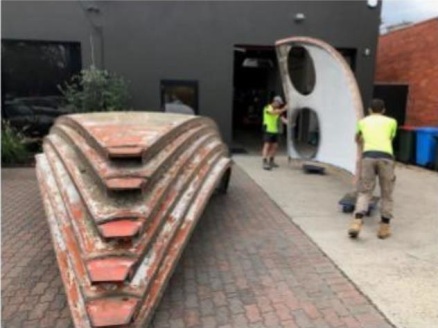 Hot on the heels of the news that there were efforts underway to have the Futuro listed on the Victorian Heritage Register to ensure it was protected as something of cultural heritage significance [see the 033118 update] the City of Whittlesea posted this photo on Instagram which shows the Futuro partially disassembled. "We've been working with the owner of Futuro House to have it listed on the Victorian Heritage Register to ensure it's protected as something of cultural heritage significance. 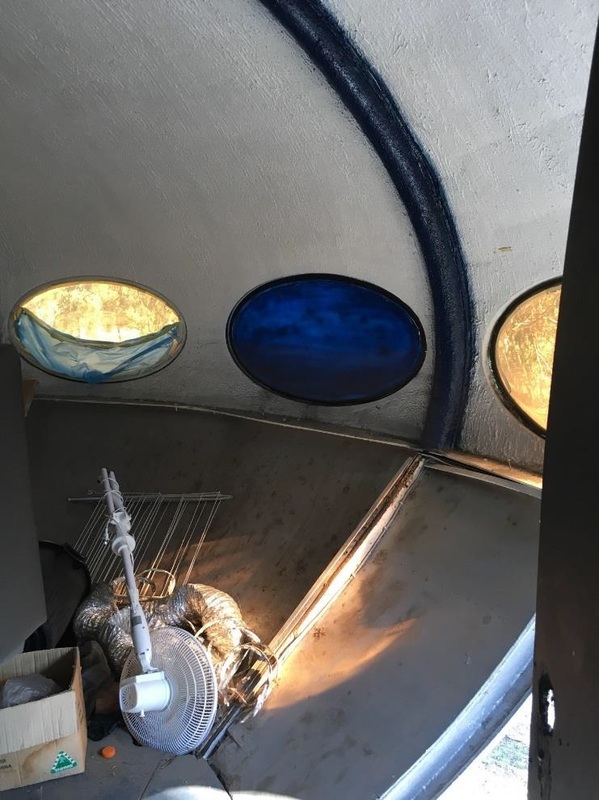 A permanent home for Futuro House hasn't yet been decided, but the owner has confirmed that following a bit of a restoration makeover it will be kept as a private asset." "... this Futuro house has recently been relocated, although I don't know where it has gone. I go past its location every Saturday, and today noticed it missing. It was still there last Saturday, but a couple of weeks ago I noticed all the windows had been removed, and suspected this might be to protect them from damage when it was moved, so was not surprised to see it gone." 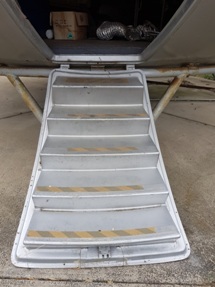 It is always great to see a Futuro getting a little "tlc" or, in this case, protection as so many have deteriorated over the years. 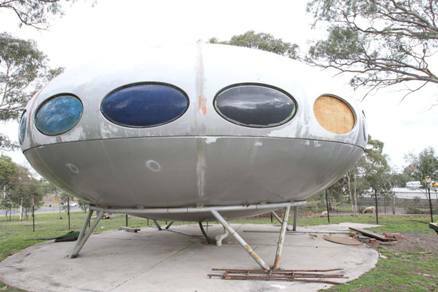 In a 022618 article the Herald Sun reported that this Futuro had been accepted as a nominee for the Victorian Heritage Register. 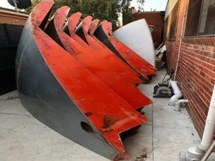 That nomination is currently under consideration by Heritage Victoria. 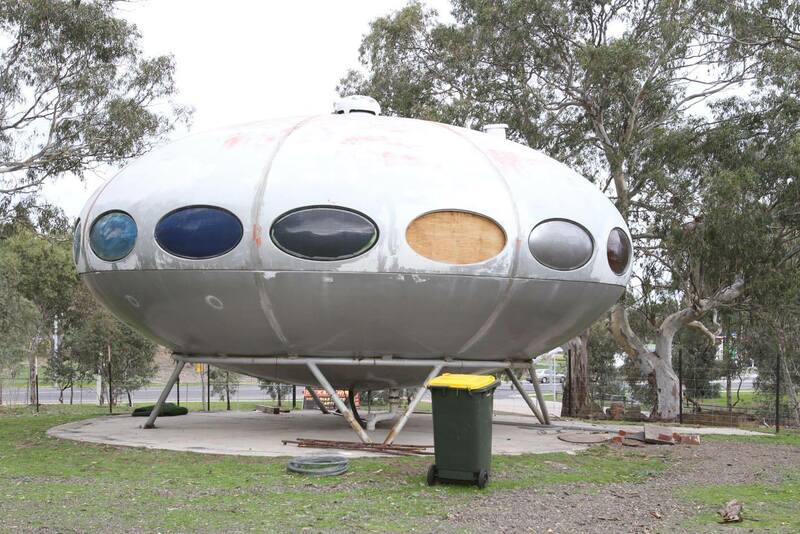 "Whittlesea Council issued a permit for the subdivision of the site in June 2017 which required the Futuro House be protected, restored and relocated. 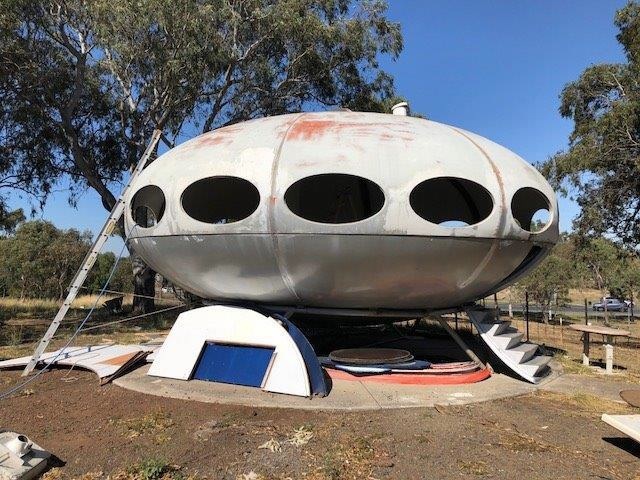 The council considers the Futuro to have "state heritage significance" and nominated it for inclusion in the Victorian Heritage Register." 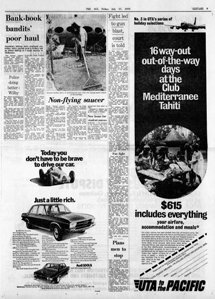 The article goes on to add that there are no plans for the Futuro to be relocated to any council-owned land. 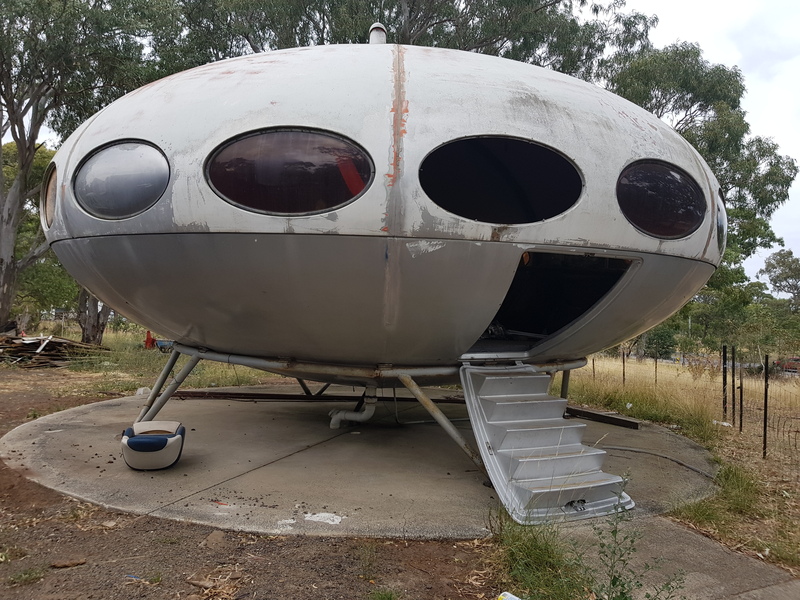 "... Whittlesea Council will work with the owners of the spaceship-like fiberglass structure, Canopi Homes, to ensure the protection, restoration and appropriate relocation of the Futuro to a place with a public presence." 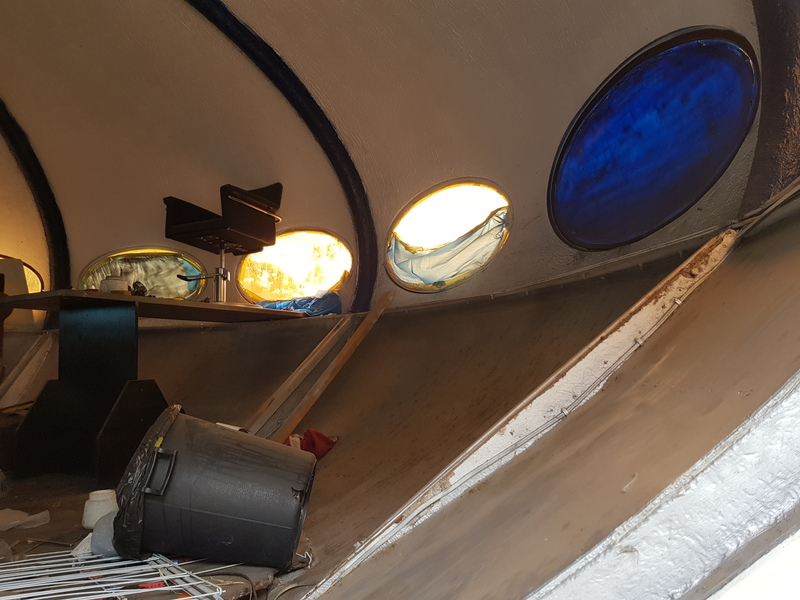 A council representative indicated the council would work with the owners to identify suitable sites and suggested that the council could use the Futuro as a potential tourist attraction. 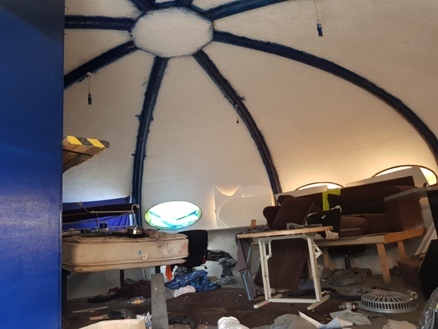 Given the continued deterioration of this Futuro over time this is welcome news and hopefully means it will get at least a partial restoration at some point in the not too distant future. 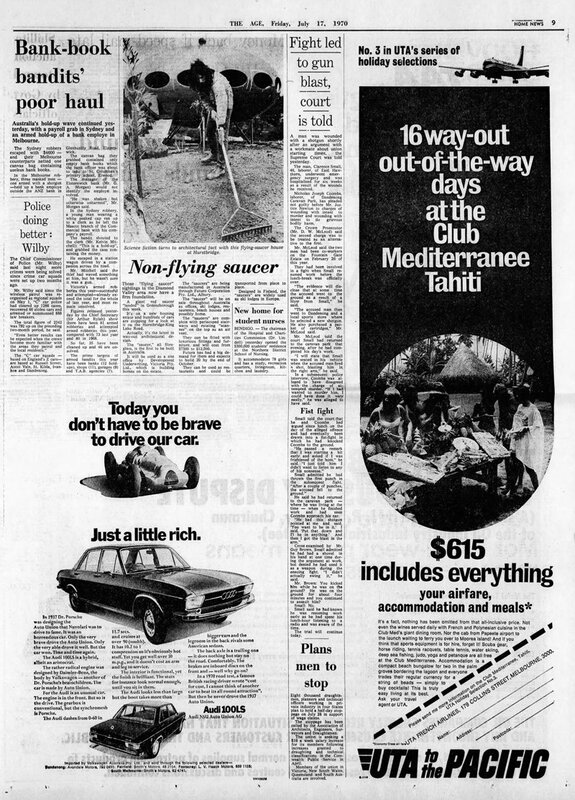 By a strange coincidence the same day I came across the Herald Sun article I also came across an article from nearly 50 years ago in the 071770 issue of The Age, a Melbourne based daily newspaper first published in 1854. 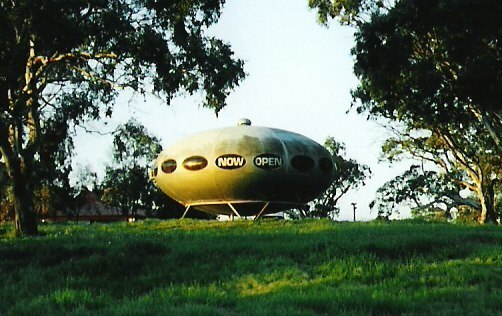 The article, titled "Non-flying saucer", reported on a "giant red saucer [that had] landed in Greensborough" describing it as "the latest in way-out architectural design". 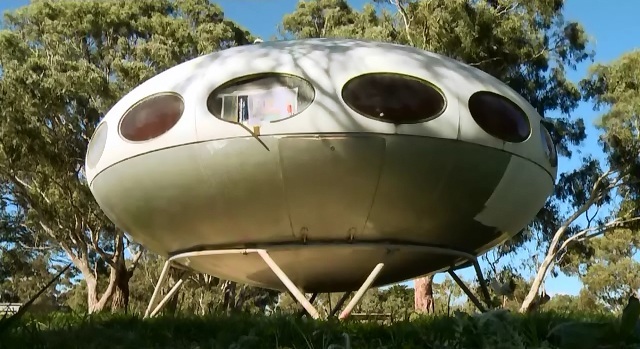 The report added that manufacturer Futuro Corporation Pty, Ltd., Albury expected to build 20 plus Futuros in the following couple of months and notes that the "saucers [were] widely used as ski-lodges in Europe". 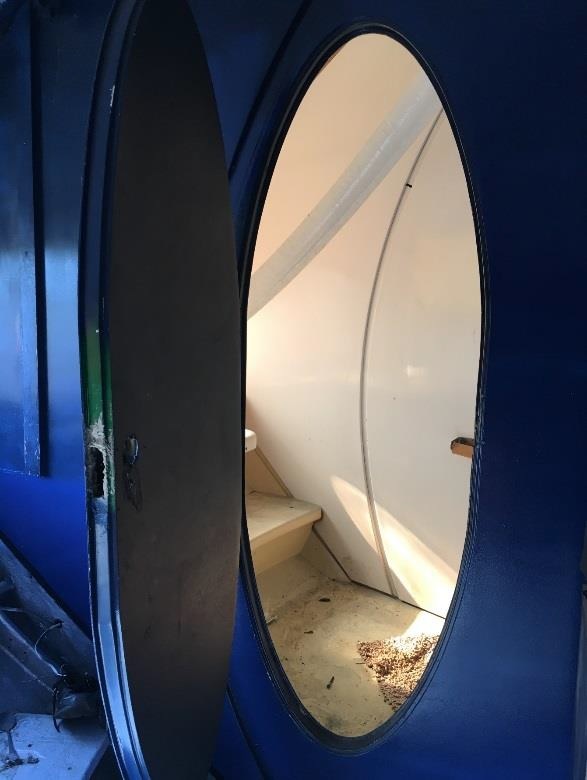 This particular unit was located on a new housing estate where the developer was using it as an office. 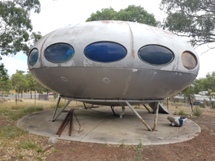 Previously referenced documentation on the history of this particular Futuro along with the Herald Sun article referenced above indicate the South Morang Futuro was relocated from Greensborough, where it had been used as an office on a housing development site, in 1989. Given the content of the article in The Age it seems highly likely the Futuro referenced is the one now in South Morang. A better view of the photo that accompanied the article can be found at left. 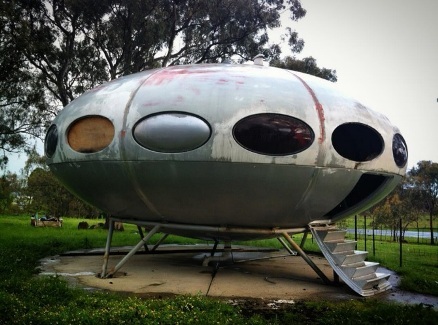 It seems that this Futuro, while still on site, has been sold. I received an email this week from Phil who has been trying to find a Futuro to purchase. 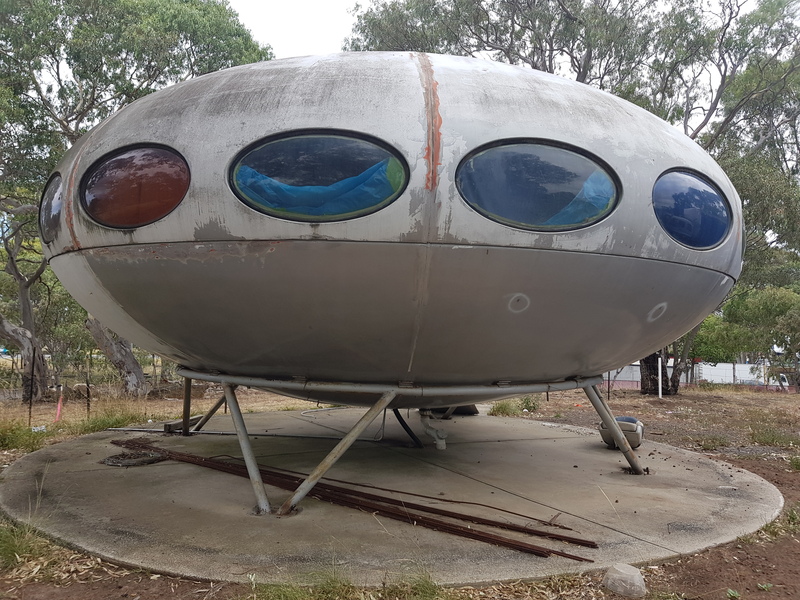 Phil tells me that when he made inquiries about this Futuro he was advised by the current owners that it had in fact been sold. 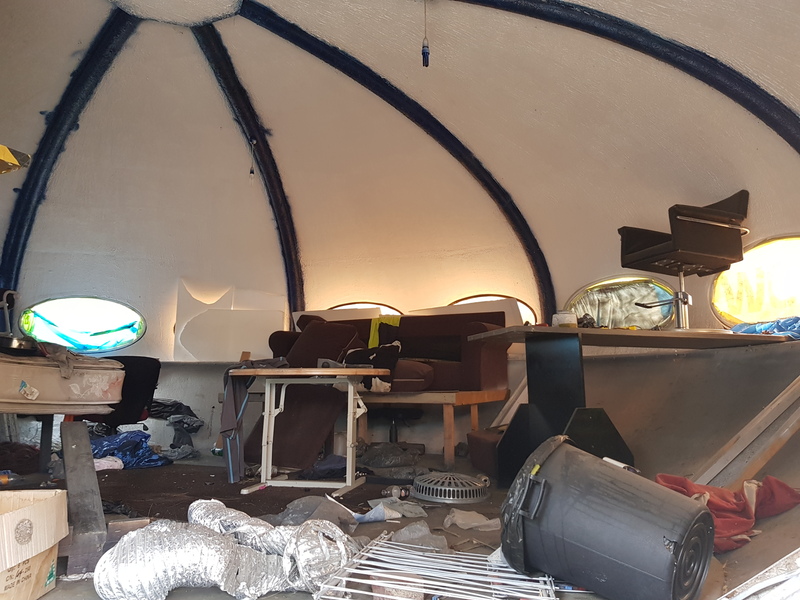 Though the unit is still on site and the full amount of the purchase has not yet been paid apparently a deposit is being held and the transaction is expected to be completed. 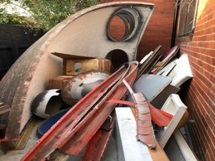 The owners would not indicate the sale price but did say it was a "significant amount". 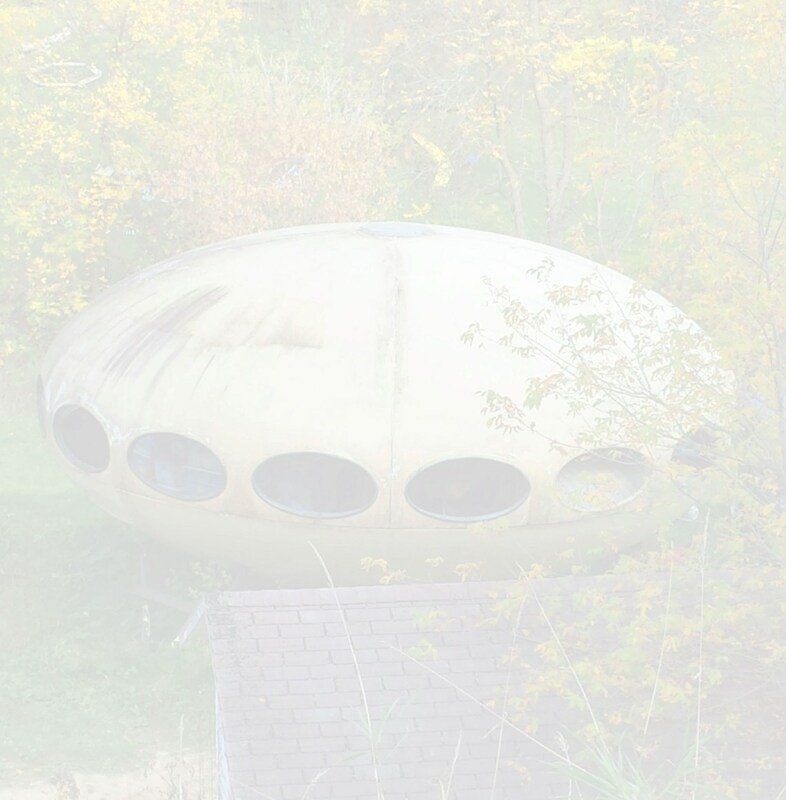 There is no information at this time about whether the Futuro will be moved and, if so, where it will be moved to. I received an email from Ben Bowering this morning. 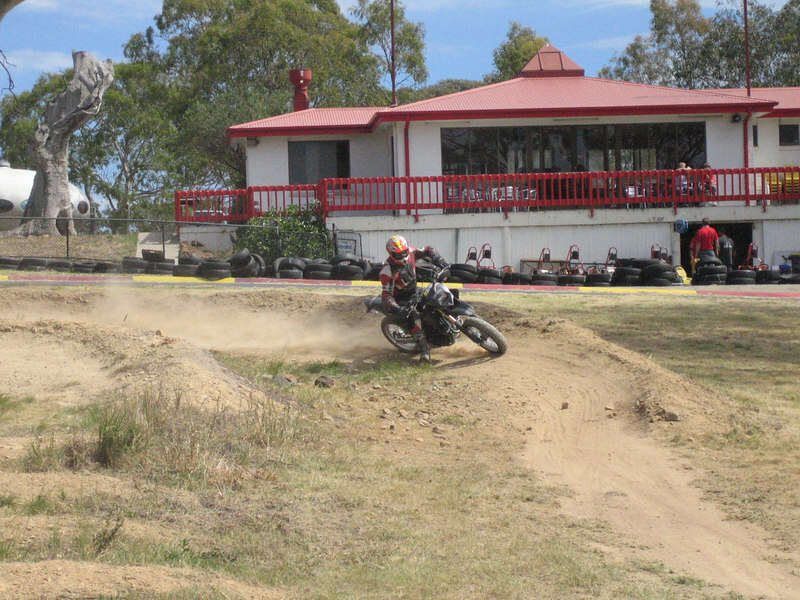 Ben lives in the Melbourne area now but has lived much of his life in Adelaide. 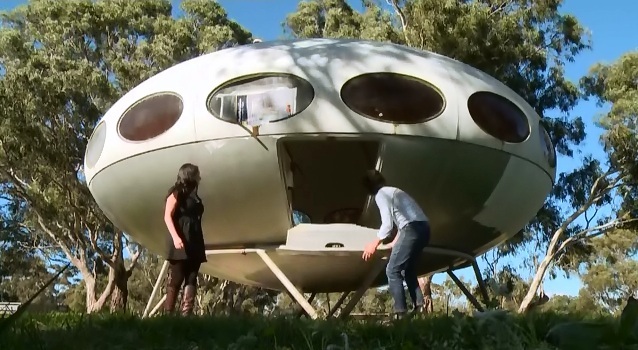 He told me he had just been watching a program on ABC television which had featured a short segment on the Futuro House which had brought back a childhood memory of seeing the Deep Creek Futuro way back in the early 70's when it was located on Melbourne Street in North Adelaide. Interestingly Ben recalls his father thinking it was something of an eyesore which seems to have been a not uncommon view at the time. The TV program was "Nice & Classy", the sixth episode of the Australian TV Show "Myf Warhurst's Nice" which was first broadcast 071812. I managed to find a copy of the program online; the program included Futuro footage from two eras. 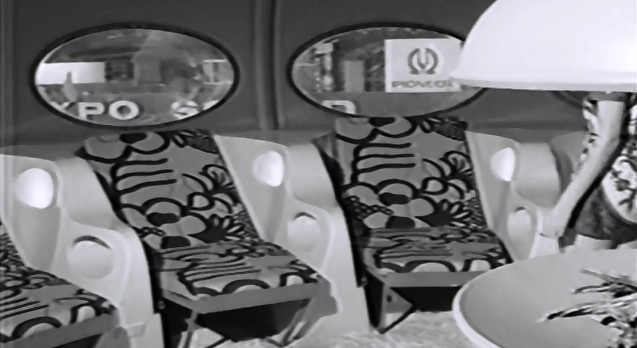 There is some vintage footage probably from the very early 70's, perhaps the late 60's, showing a Futuro on display at an exhibition. 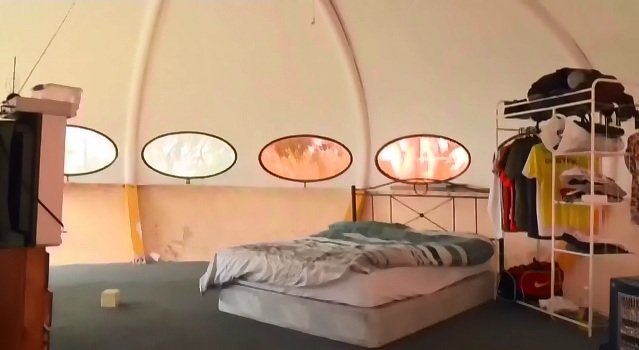 I have not yet been able to determine which exhibition the footage is from or for that matter which country it was shot in. 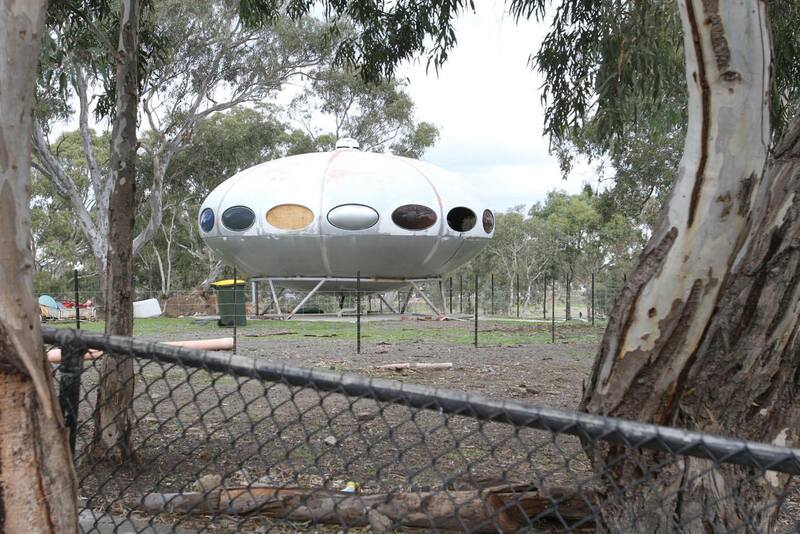 The second segment of film is contemporary and shows the South Morang Futuro. 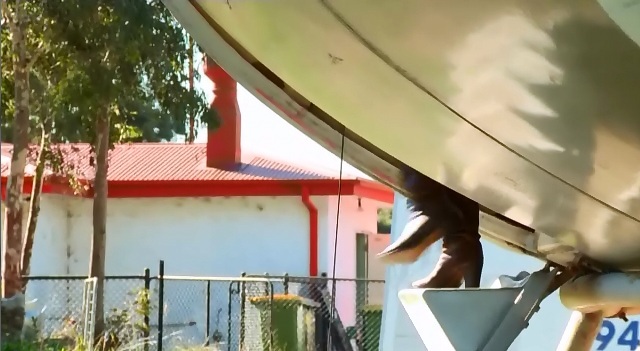 I was fairly sure it was South Morang as soon as I saw it and the commentary, placing it in "Outer Melbourne", along with the video itself [in particular a shot showing a red roofed building nearby] confirmed it. 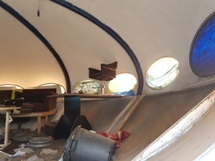 It is interesting to note that while everything I have come across previously indicates that the Futuro was being used as a storeroom the TV program tells us that the Futuro is actually inhabited and that the current tenant is "an Irish backpacker". 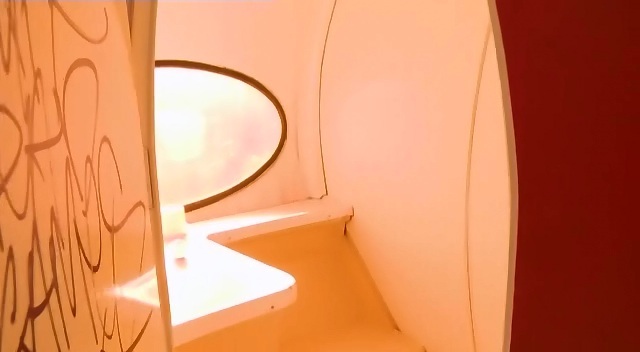 Certainly the footage shot of the interior indicates an inhabited Futuro. 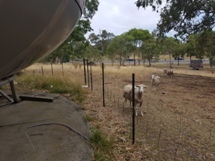 I am not displaying the video here; I am sure it would be a breach of copyright, so if you would like to see it I am afraid you will have to seek it out yourself as I did. I did however grab some screenshots and they are displayed at left. 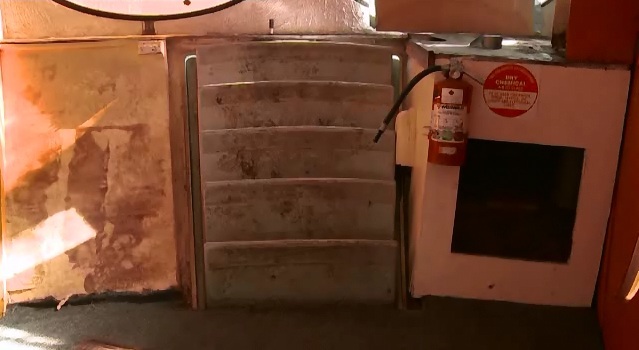 The first group is from the vintage footage and the second is of the South Morang Futuro. Ben - thanks for sharing your memories and for pointing me in the direction of the TV program. This Futuro was relocated from 299 Plenty Valley Road, Greensborough north of Melbourne, Australia where it served as a sales office for local realtor to its current location over 20 years ago. It is currently used as a storage building by the Go-Kart Track at the Grand Prix Training Center in the South Morang suburb of Melbourne. The Futuro was featured on the cover of the Autumn 2010 issue of Architect Victoria Magazine [Dead - see pdf here] with a short article appearing inside the magazine. 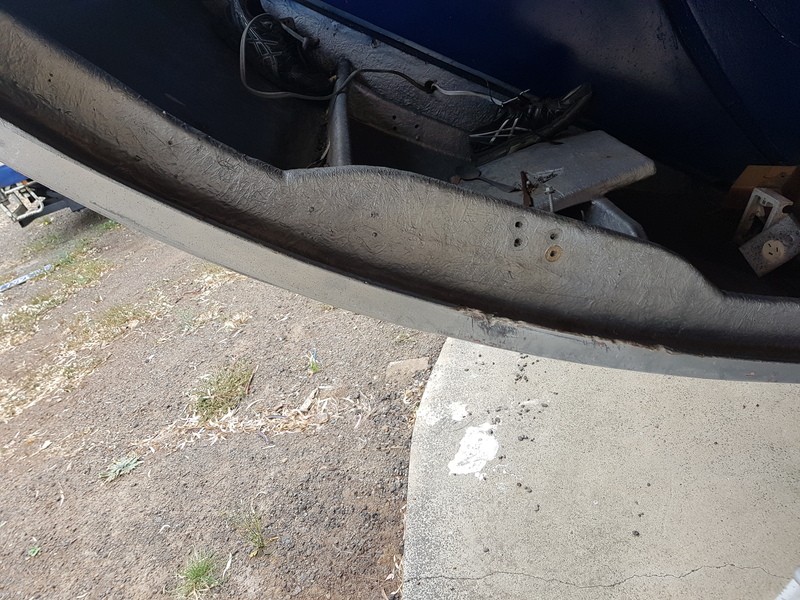 This photograph by citywhittlesea taken 043018.